We are excited to share with you an update on Catherine’s story from our last newsletter. You may remember that after leaving an abusive relationship with her 2 children, Catherine has struggled and remained homeless for the last 4 years. Living with family and in transitional homes, Catherine has managed to maintain a job, but wasn’t able to secure housing. A few weeks ago, Catherine got good news, she has finally qualified for the subsidized housing she so desperately needs! 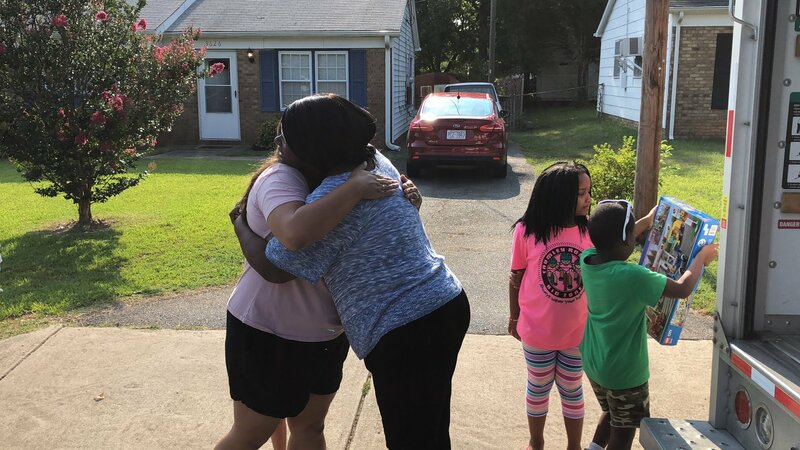 Catherine is excited about her children, Tamia and Tamari, having a place to call their own saying, "it is exhausting for me and the kids to always have to live by someone else’s rules and not have a home – they deserve this." 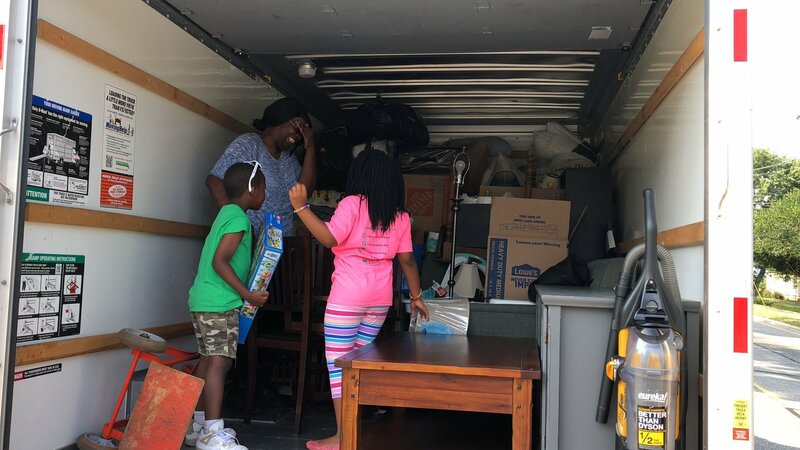 We have spent the last few weeks working with Catherine to plan and organize her move, helping to pay the deposit so she still has some savings when she moves in, and collecting the essential home goods she needs in order to provide a warm home for her children. 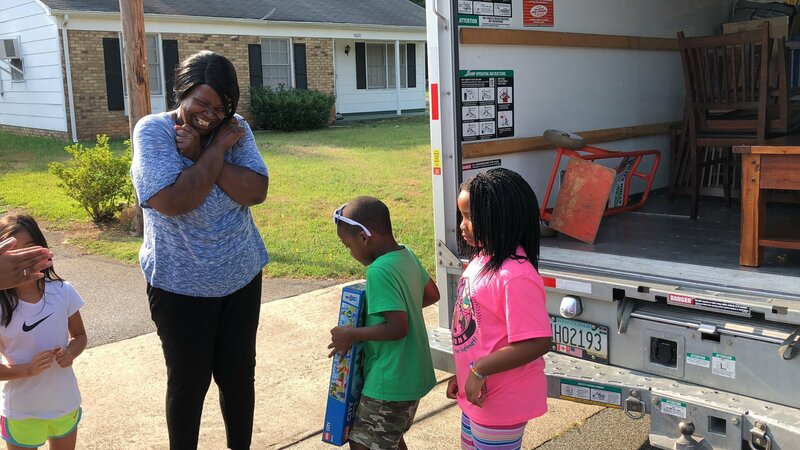 We are thrilled to be able to help her start her new life with a Uhaul full of items, all thanks to many of you who so generously donated money and home goods! 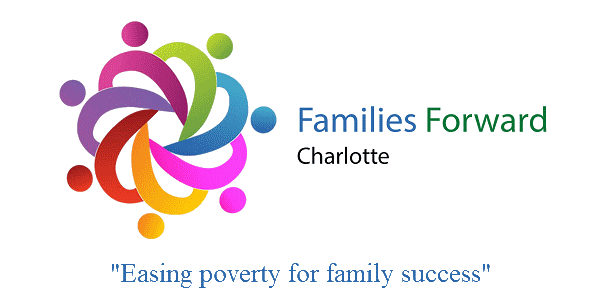 Our hearts are so filled with gratitude for each of you that have made it possible for Charlotte families to have the support they need to succeed! Sardis Presbyterian VBS for hosting a donation drive during camp last week! They collected many school supplies, toiletries, and cleaning supplies that will benefit the 30 families in our program for the upcoming school year! * Host a school supply and/or toiletry donation drive! 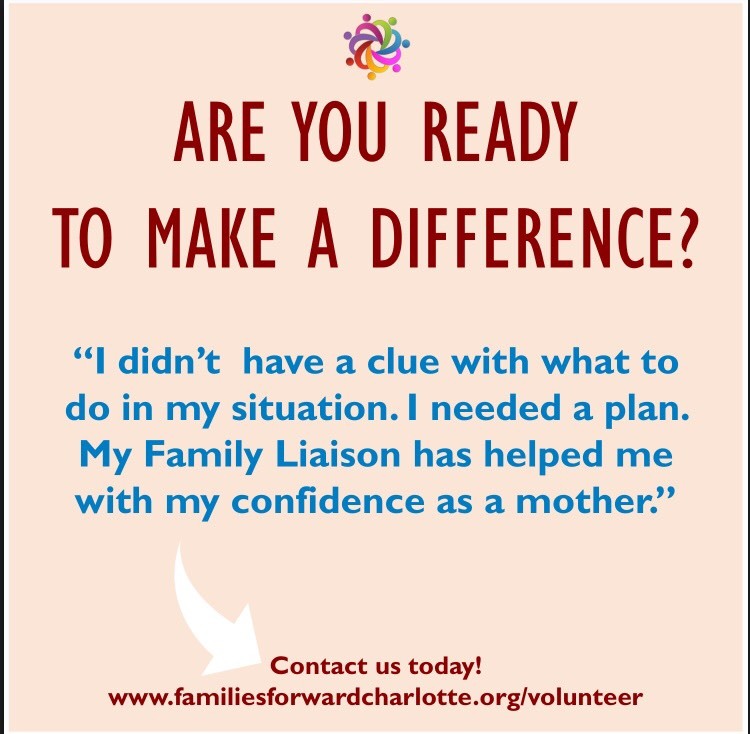 Contact Dena at dena@familiesforwardclt.org or fill out the volunteer information form on our website if you would like more information or to sign up for any of these opportunities! Transparency to our donors and volunteers is important to us! We want you to know that we are good stewards of your gifts. As an all volunteer organization every penny counts – and we ensure every penny is carefully spent. Click HERE to be taken to our website where you can find our latest financials and other information.